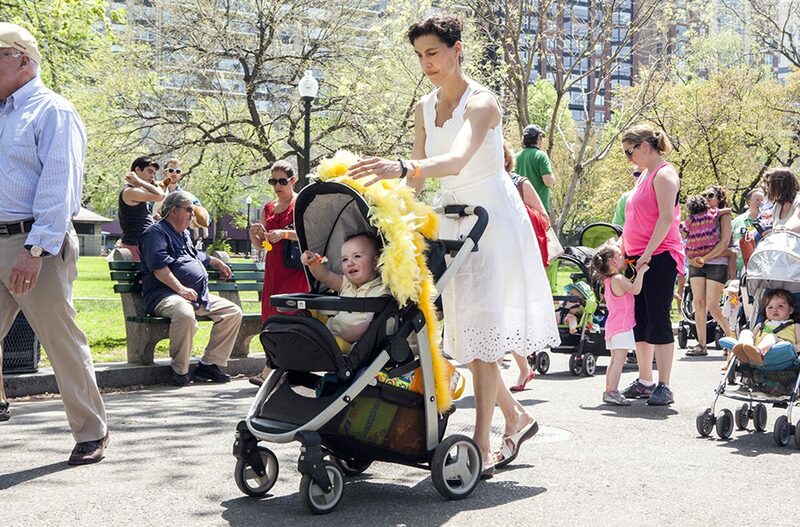 The Mother's Day event—starring a thousand kids in costume—is easily one of the cutest events the city has to offer. 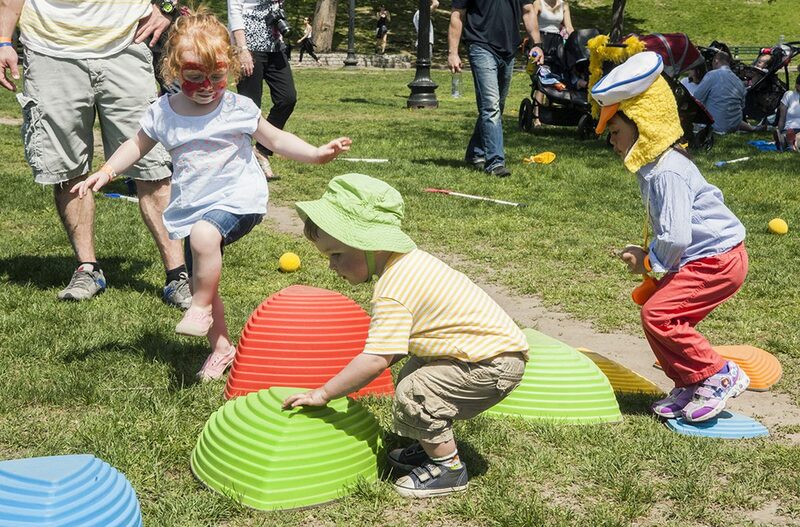 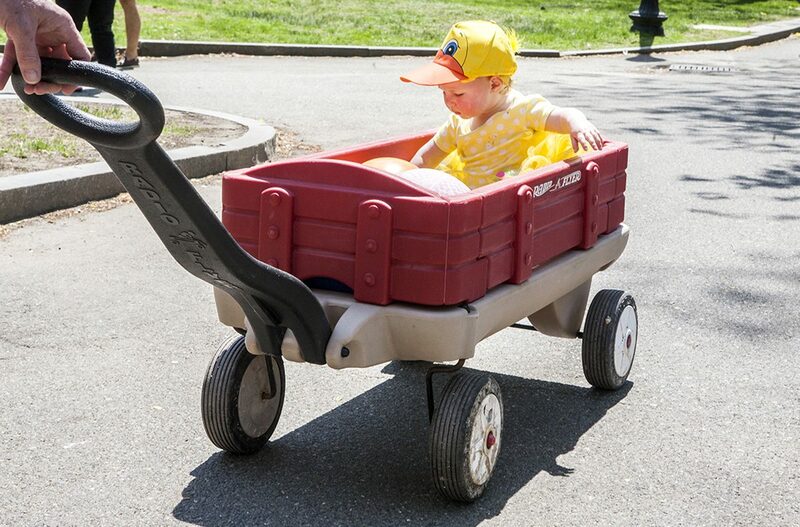 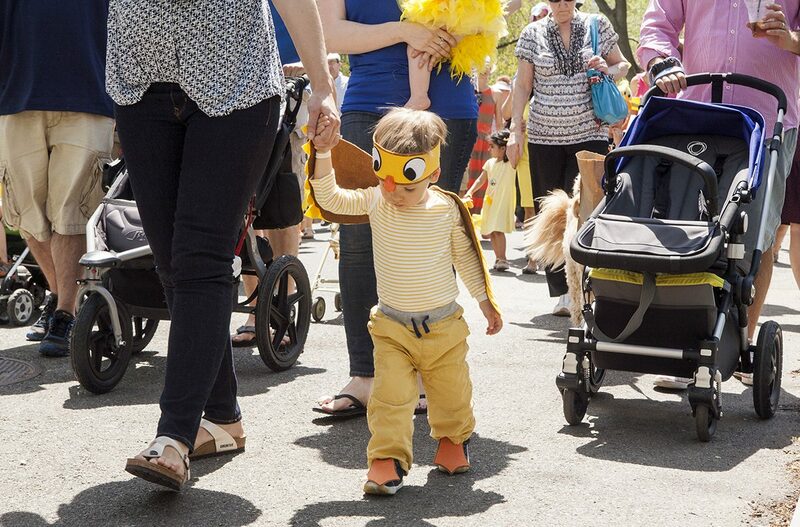 By Zarah Kavarana·	 5/4/2016, 1:30 p.m.
On May 8, more than 1,000 toddlers will waddle through the streets of Boston for the 2016 Duckling Day parade, dressed as characters from Robert McCloskey’s beloved Boston-based children’s book, Make Way for Ducklings. 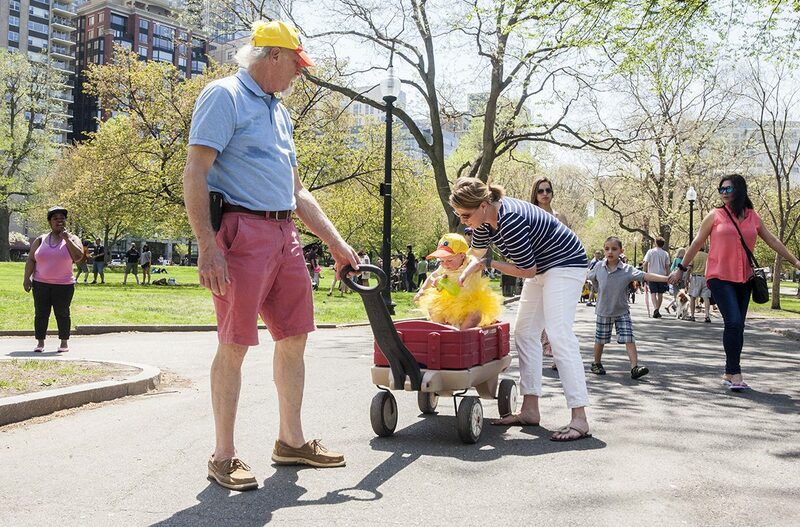 Yellow feathered jumpsuits and ruffled tutus will be aplenty. 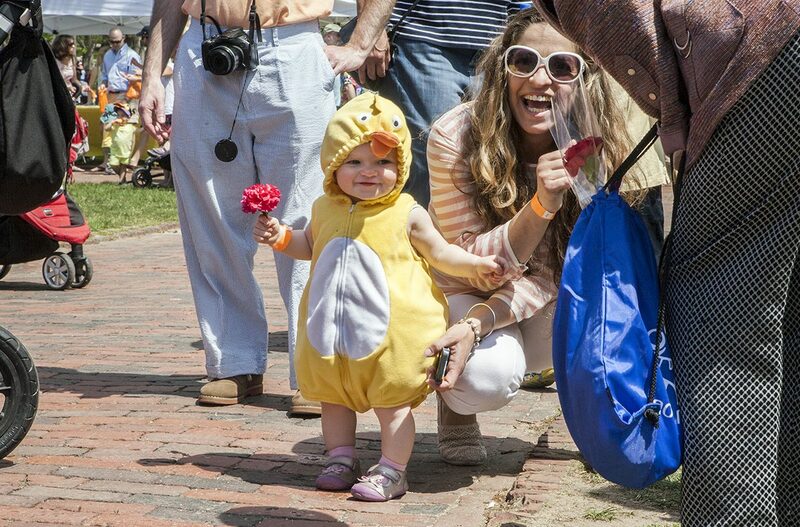 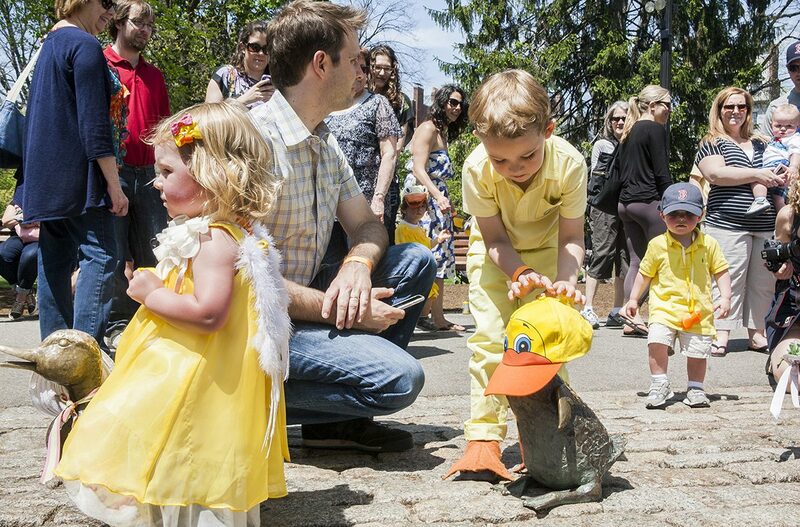 Duckling Day is easily one of the most adorable events of the year. 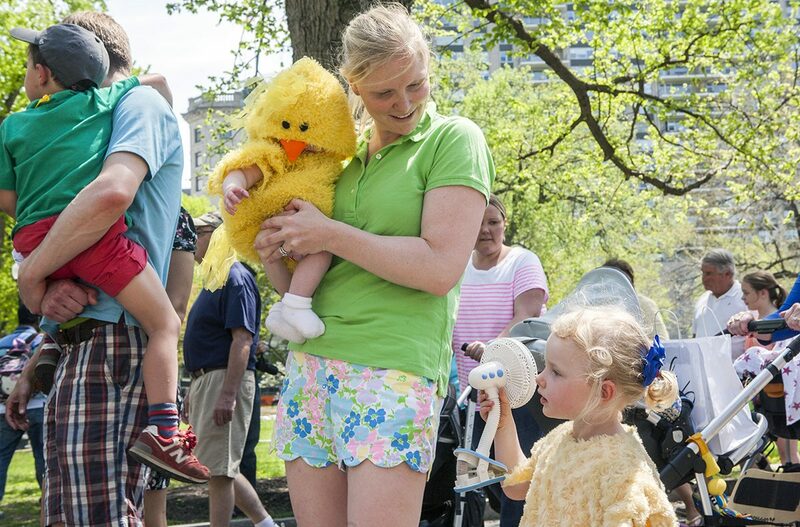 In the book, Mrs. Mallard guides her eight ducklings alone through bustling city streets, looking to make a safe home for her family, far from “foxes in the woods and turtles in the water.” She settles upon the pond in the Boston Public Garden, and with a little help from a BPD officer, they get there. 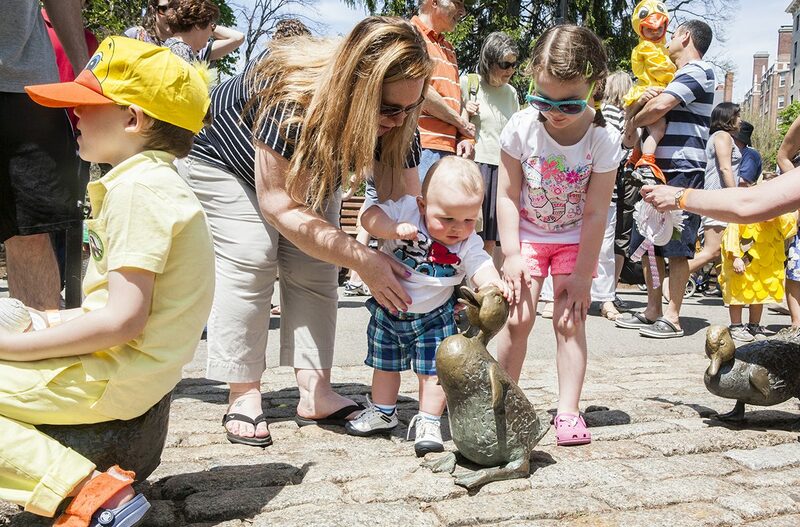 This year marks the 75th anniversary of Make Way for Ducklings. 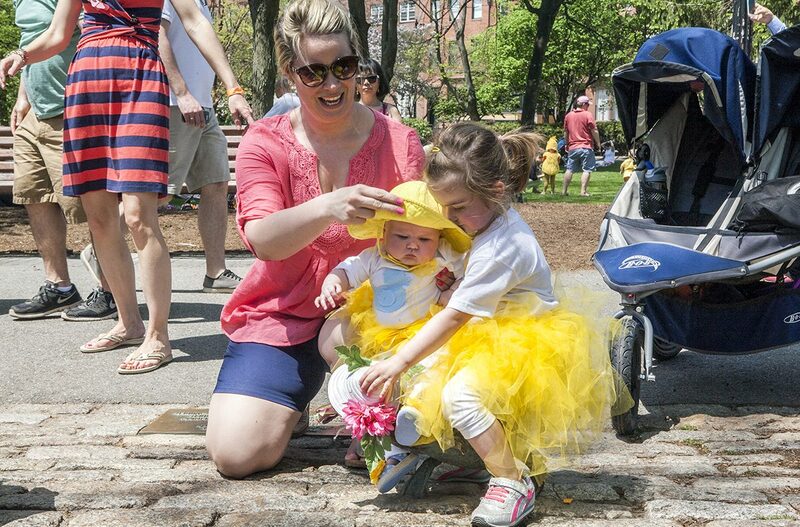 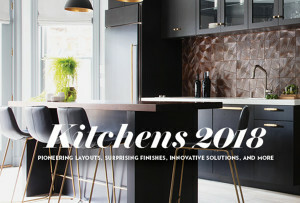 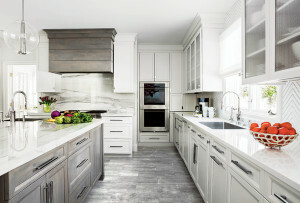 While Boston’s landscape has changed since the book’s release in 1941, many featured neighborhoods and notable landmarks—such as Beacon Hill, the State House, the Charles River, and Beacon Street—remain largely recognizable. 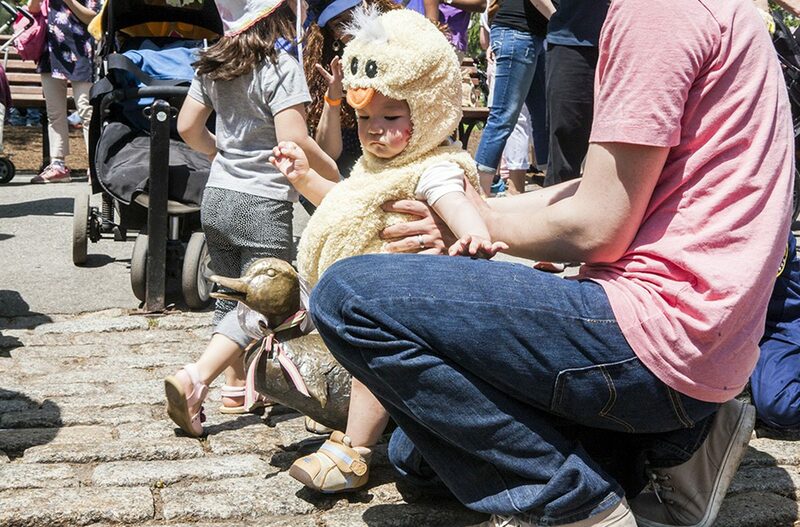 On Sunday, Mother’s Day, the Duckling Day parade route will partially retrace the footsteps of Mrs. Mallard and her ducklings, shortened to less than a mile to accommodate small children. 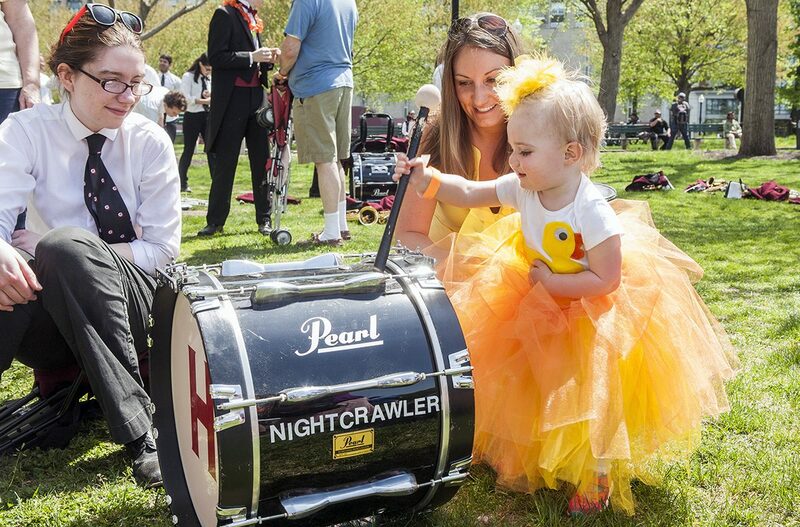 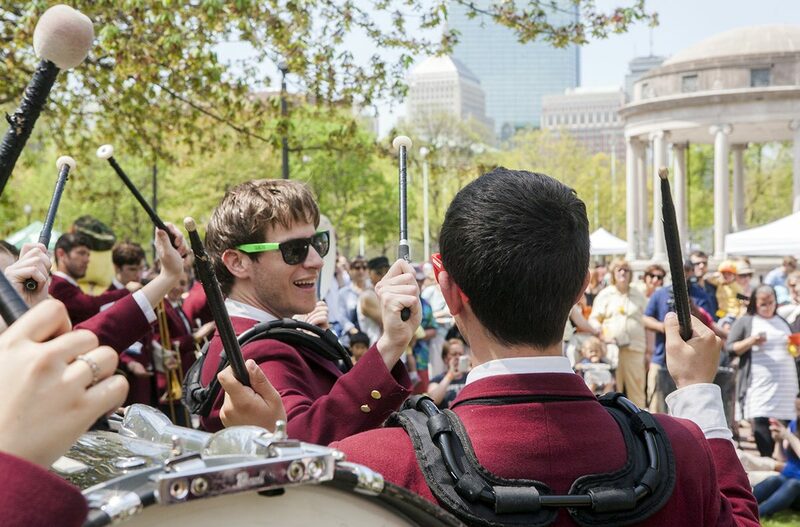 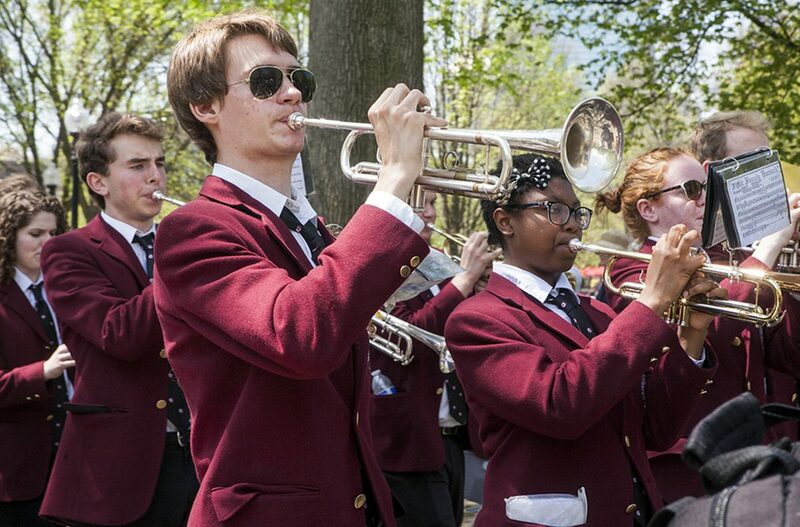 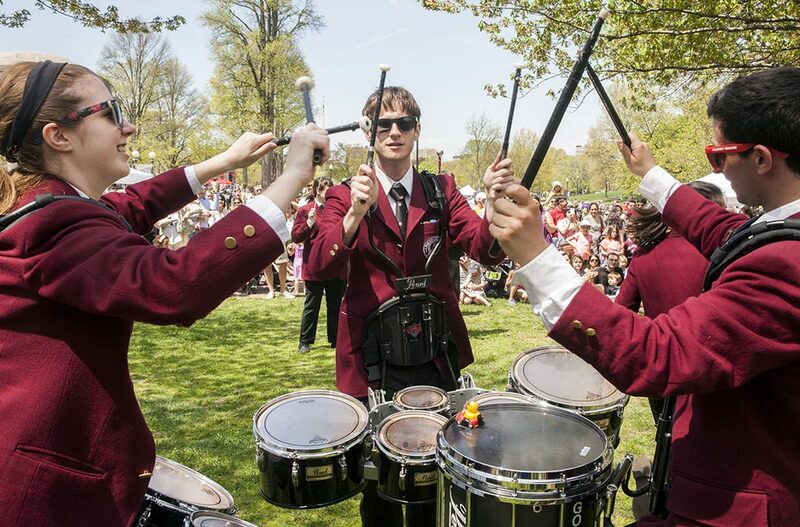 Following a welcome speech from guest of honor Mayor Marty Walsh, the Harvard University Marching Band will lead the parade from the Boston Common’s Parkman Bandstand to the Public Garden at the Make Way for Ducklings sculpture by Nancy Schon. 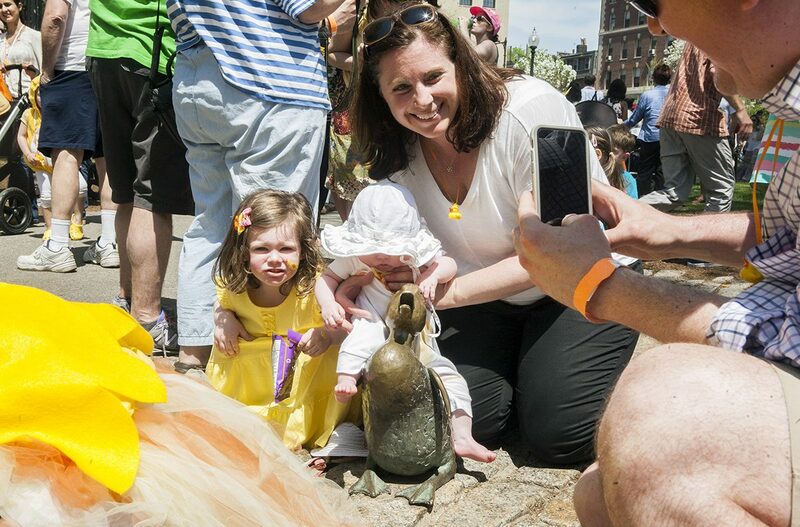 Each Duckling Day, the bronze ducks join in on the dress-up tradition, donning colorful floral bonnets to greet parade goers as they complete their journey. 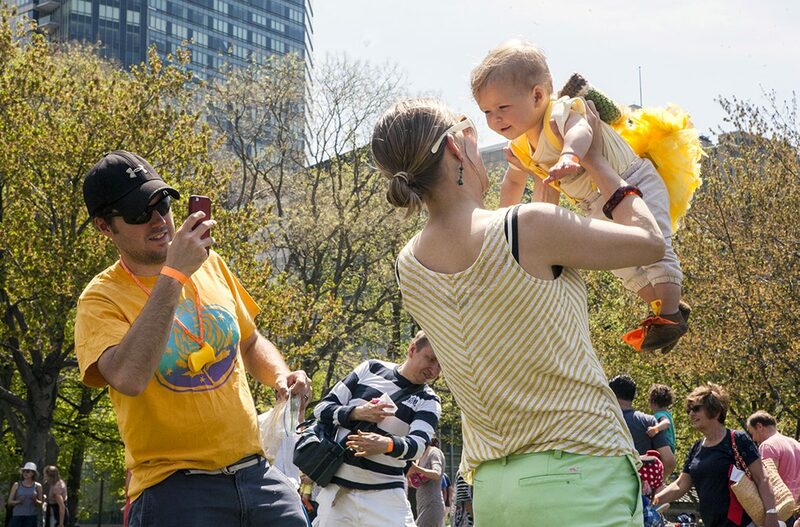 Prior to the parade, there will be playtime on the Common, including a range of kiddie crafts, face painting, circus activities, magic, and puppet shows—all-inclusive with a $35 per family registration fee due by end of day May 5. 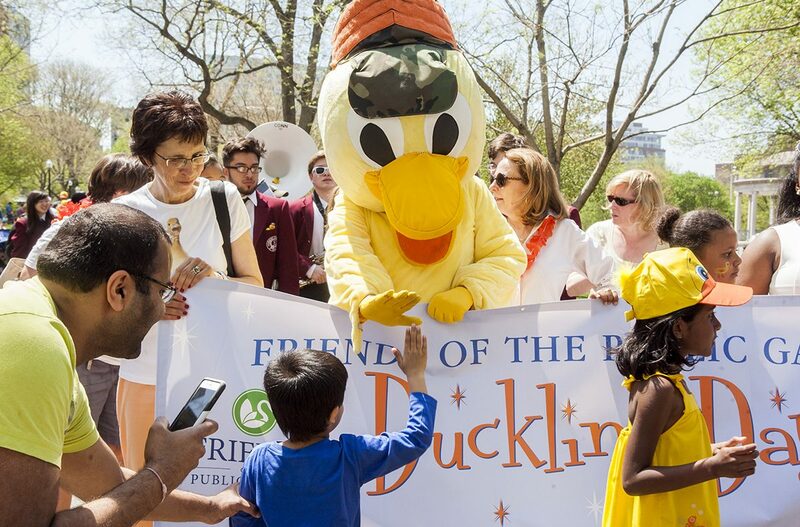 Each child will receive a goody bag at the end of the parade filled with Duckling Day-themed items. 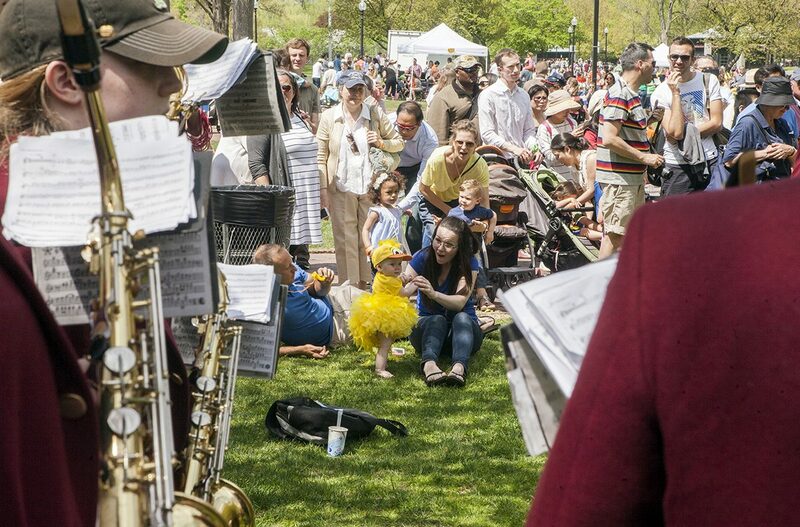 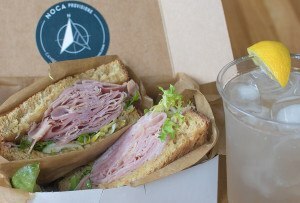 Families are also encouraged to bring a blanket and lunch for a picnic on the Common. 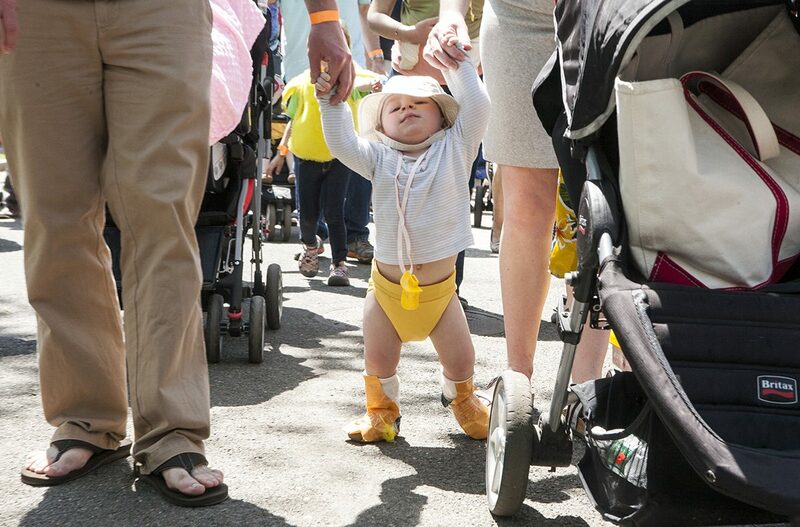 For more than thirty years, the Duckling Day parade has been held intentionally on Mother’s Day. 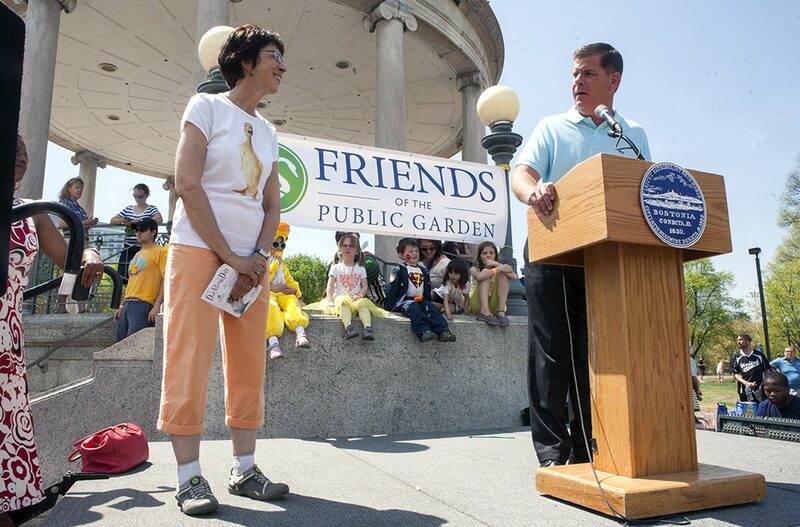 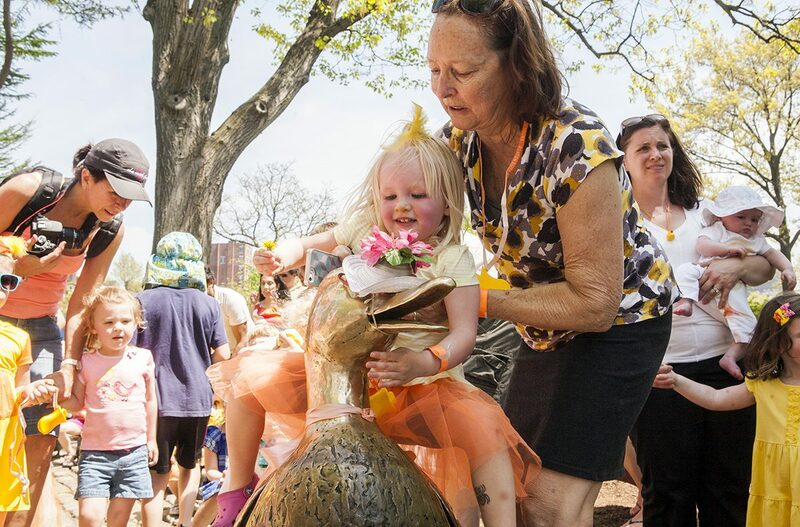 While a tribute to the picture book and its Boston backdrop, event director Karin Turer says that Duckling Day is really meant to honor mothers like Mrs. Mallard, for all that they do and all the sacrifices that they make. 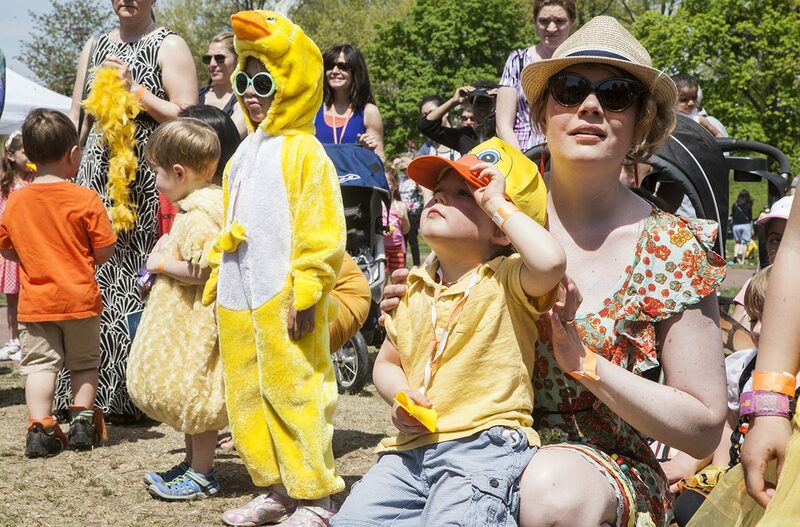 Did we mention that all moms who attend Duckling Day will be treated to mini massages? 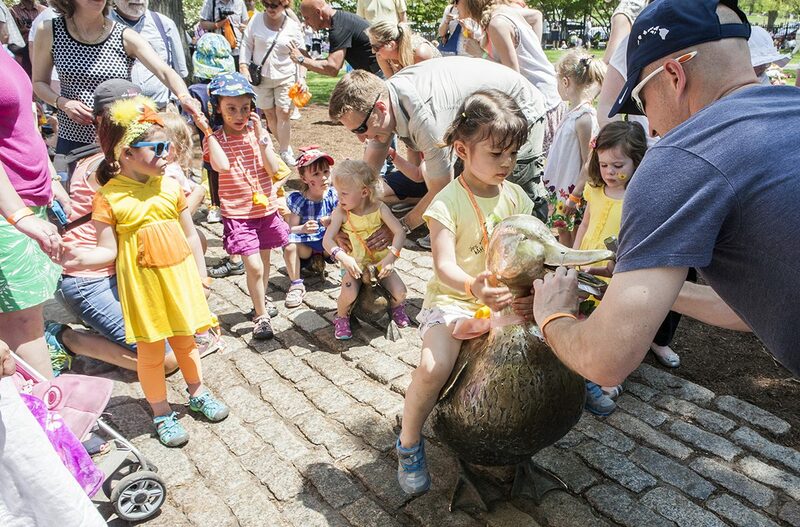 Mrs. Mallard and her ducklings have given new meaning to “Duck Dynasty” in Boston. 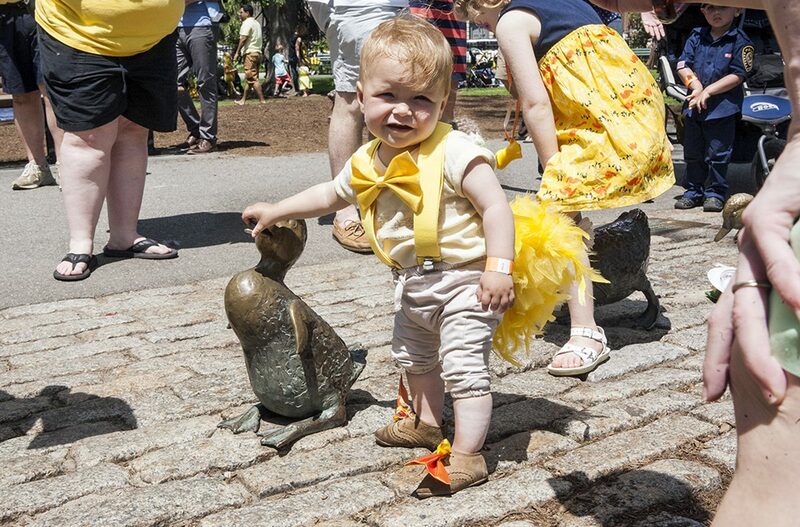 The Make Way for Ducklings statue was installed in 1987 as an ode to McCloskey for making Boston a familiar and safe place for children around the world, and Make Way for Ducklings was declared the official children’s book of the Commonwealth of Massachusetts in 2000. 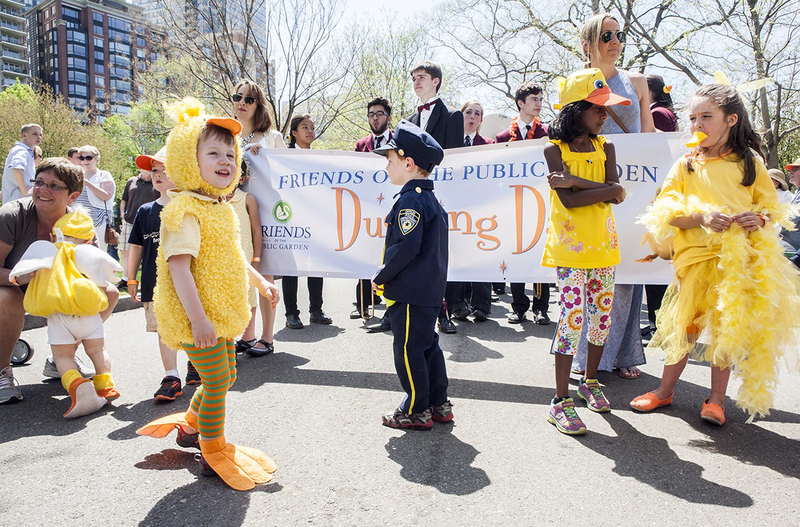 So then, get ready to make way this Sunday—the ducklings are coming! 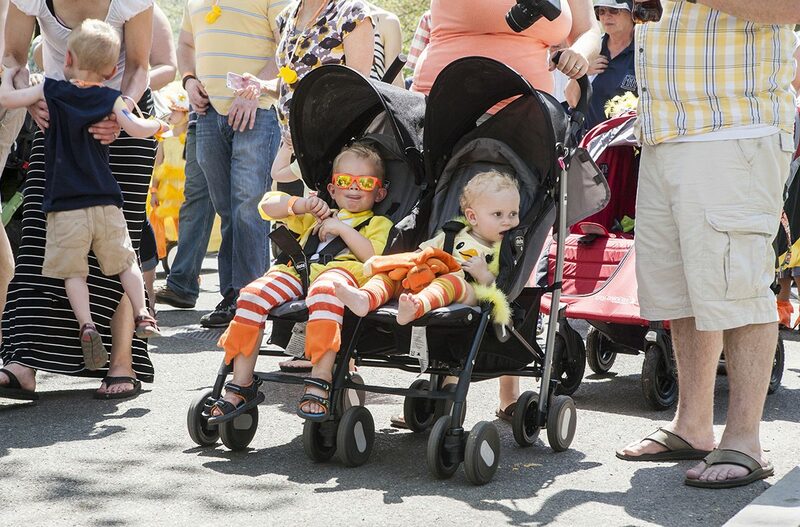 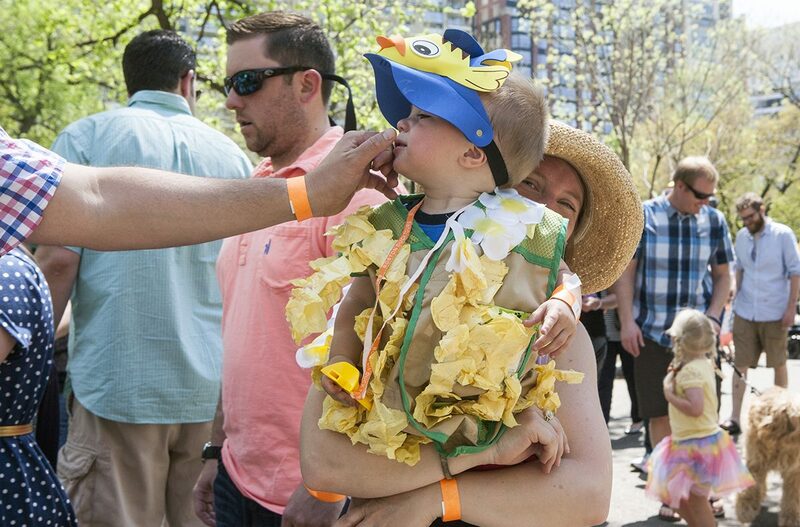 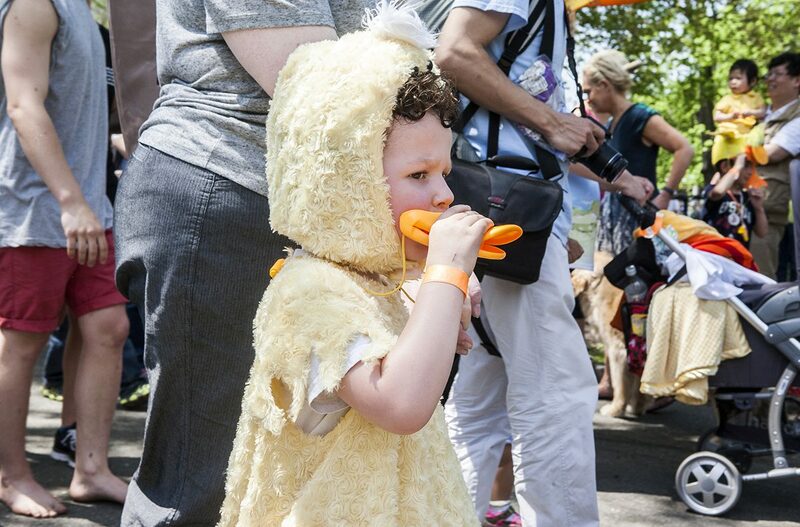 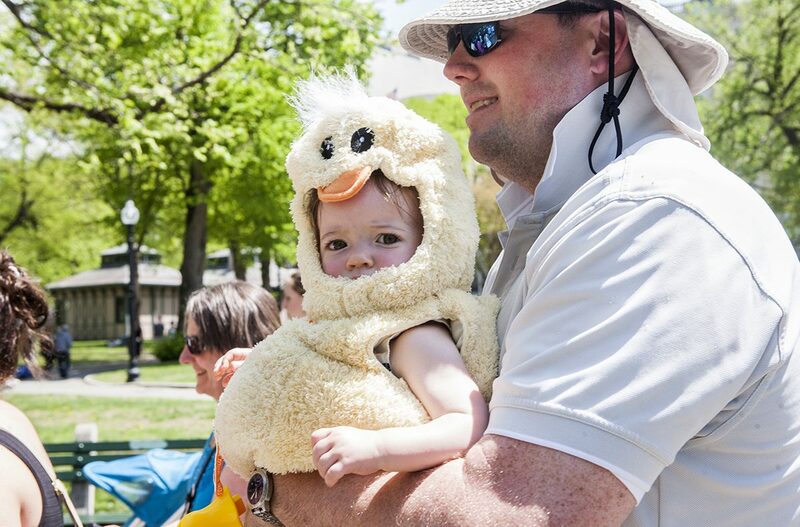 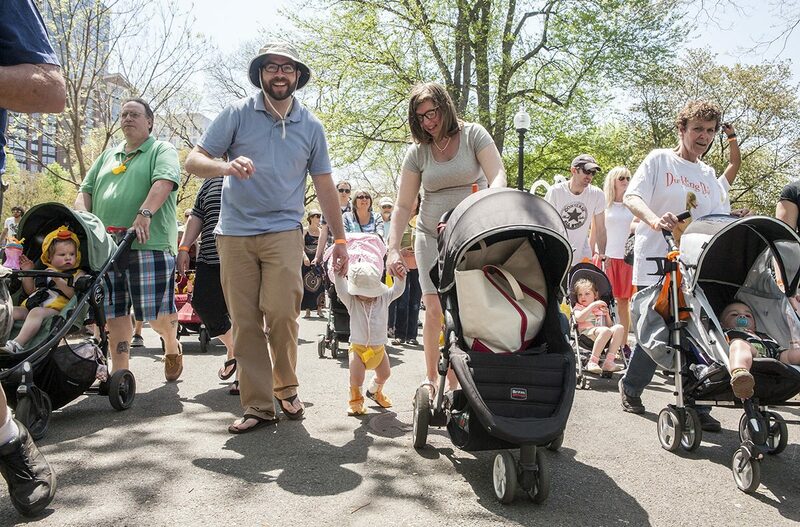 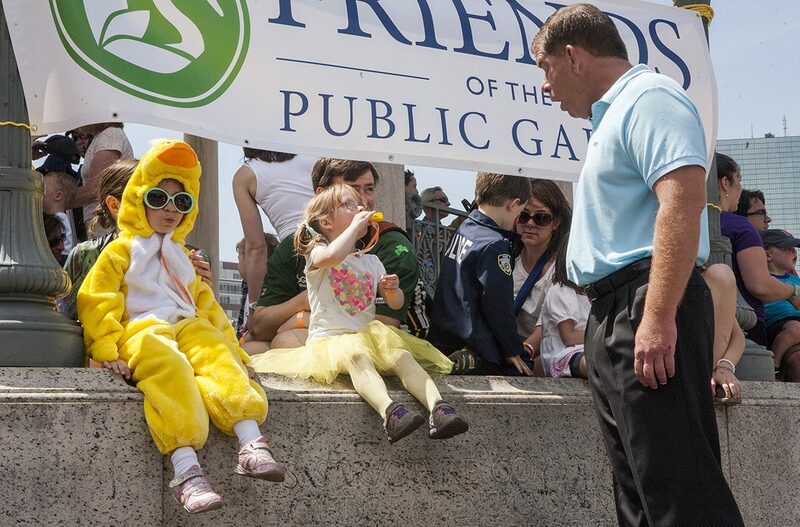 Check out photos from last year’s Duckling Day parade and festivities below. 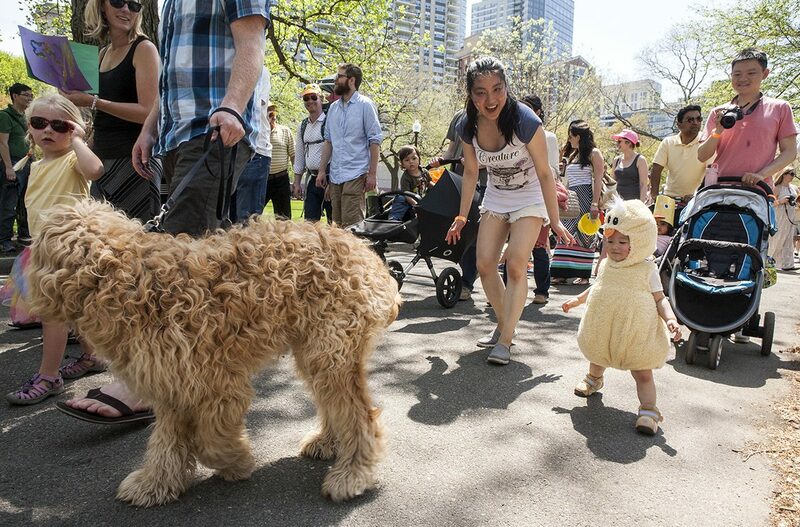 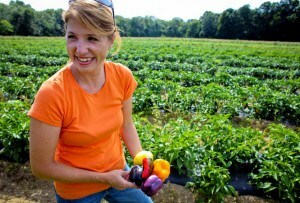 Sunday, May 8, 10 a.m.-noon, parade begins at noon, friendsofthepublicgarden.org. 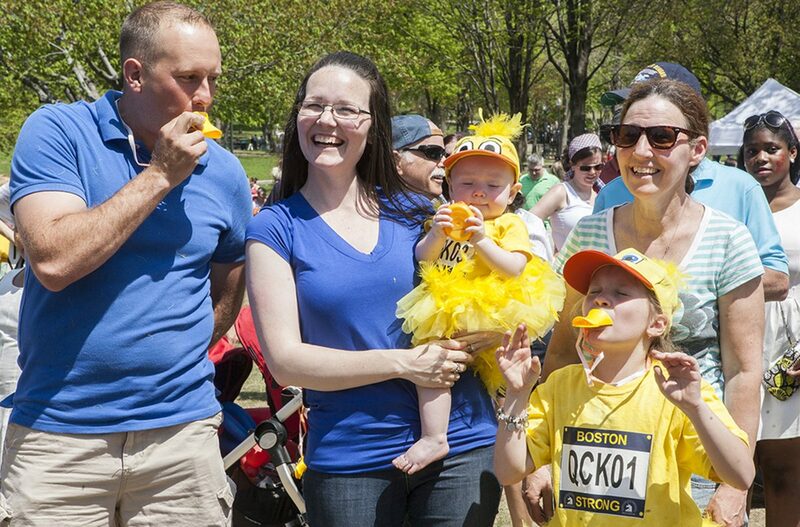 $35-per-family registration due by midnight on May 5.